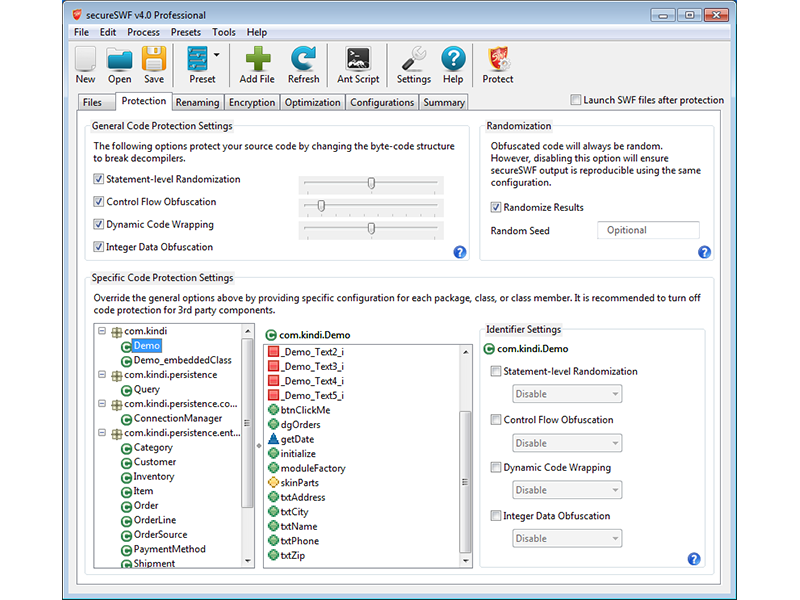 secureSWF 4.0 Free Download - Get the best SWF security against Flash decompilers and reverse engineering. Get the best SWF security against Flash decompilers and reverse engineering. Publish with confidence and stop giving away your source code with every SWF file. secureSWF protects SWF files from decompilers and reverse engineering by providing the most advance SWF security, Flash and Flex ActionScript obfuscation, optimization, and encryption making it the unquestioned market leader. In addition, secureSWF helps you protect your Flash application against a variety of security threats by providing encrypted domain locking, encrypted loader creation, and literal strings encryption. The main features of secureSWF are identifiers renaming, decompilers suppression, literal strings encryption, encrypted domain locking, encrypted loader creation, build automation and automatic configuration. Statement: First, please download the orginal installation package by clicking the download link. Of course you may also download it from the publisher's website. Using secureSWF crack, key, patch, serial number, registration code, keygen is illegal. The download file hosted at publisher website. We do not provide any download link points to Rapidshare, Hotfile, Depositfiles, Mediafire, Filefactory, etc. or obtained from file sharing programs such as Limewire, Kazaa, Imesh, Ares, BearShare, BitTorrent, WinMX etc. Software piracy is theft. If you like secureSWF please buy it.